Fancy a Safari trip to Africa? 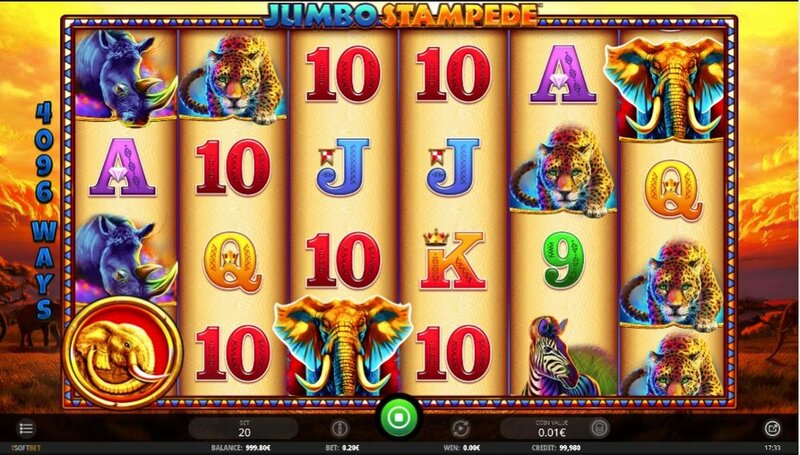 Then Jumbo Stampede from iSoftBet with its unique 4,096 ways to win, 6 reels, a medium variance video slot will appeal to you. As we lift the hood we see that it offers jumbo symbols, up to 3 wilds and of course a free spins feature that rewards patient players with 8, 15, 20 right up to 100 free falls. The game is playable on mobile phones and PC’s from £0.20 to £20. 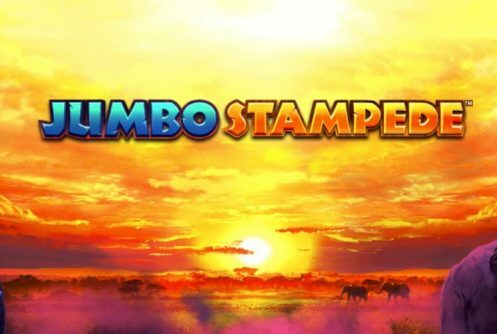 The visual side of the game is good, symbols such as elephants, leopards, rhinos, zebras, cards from 9 to Ace, wilds (sunrise symbol) and the scatter (elephant coin) bolster the game’s theme even further. The symbol that’s the most lucrative is the elephant, 6 of them on the reels pays 7.5x your stake. To be eligible for the cash prize you must wager the maximum bet of £20 per spin. The RTP or average return to player percentage of Jumbo Stampede is 95.94%. The sunrise symbol is the wild it pitches only on reels 2, 3, 4 and 5. Winning combinations occur when the wilds substitute adjacent symbols except the scatter. The free spins bonus is played when 2 to 5 lion coin scatters appear anywhere across the reels in the base game. 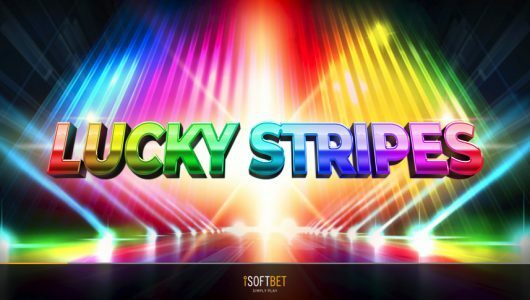 Coincidentally the scatters triggers anything from 8, 15, 20, 50 right up to 100 free spins. The free spins is re-triggered when another 2 scatters appear which gives you an extra 5 free spins. Hit 3 or more scatters the potential amount of free spins you’ll gain can be up to 100. The jumbo symbols make their presence felt during the free spins, so much so that 1 jumbo elephant can add 4 of a kind combos. Furthermore, the 2x and 3x wilds really spices up play during the free spins, they create 2 or 3 extra wilds for the big wins. It took us exactly 45 spins to trigger the free spins at an average stake of 20 pence per spin. We recommend that you increase your bet per spin because its quite high up on the volatility scale. The more your average bet is the better your chances of winning something decent, granted it’s done within the confines of your bankroll. 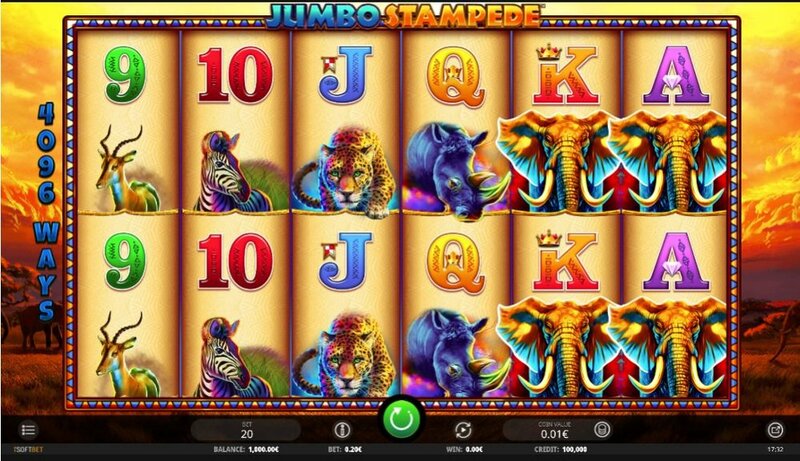 Jumbo Stampede does the basics well, it has crisp visuals that bobs and weaves across the reels, decent bonus rounds, and of course it comes with a unique 6 reels and 4,096 ways to win. We think it’s a pretty decent release from iSoftBet. 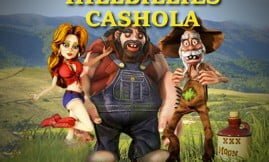 The free spins feature is sublime because up to 100 free spins is there for the taking with 2 or 3 wilds, as such you can win more than 3,337x your stake on each free spin. We’ll definitely stick a pin in it. Players who had fun playing the game can give Imperial Wealth from the same provider a go. 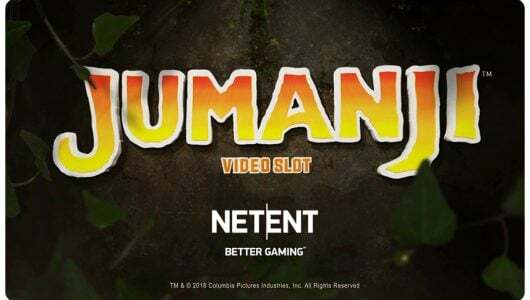 It has a Free Spins bonus round that’s played when 3, 4, 5 or 6 scatters appear. 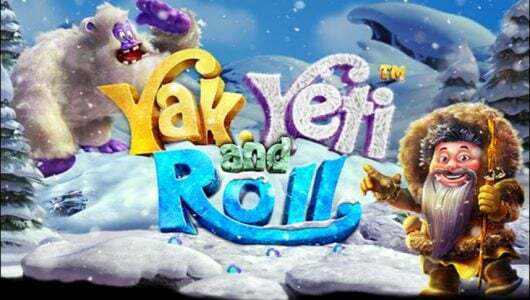 The free spins awarded are proportionate to the scatters, for instance 3 gives you 8 free spins, 4 awards 15, 5 awards 20 and 6 scatters awards a staggering 50 free spins. Furthermore, you can get up to 3x wilds on every free spin for the big wins. In general we find it a very rewarding feature on condition you’re prepared to slog it out.